WestJet has dropped the price of a couple of their April flights from Calgary to Ixtapa / Zihuatanejo, Mexico down to $313 CAD roundtrip including taxes. The flights are non-stop both ways. Non-stop flights from Calgary to Ixtapa are normally very expensive. A quick check on Airbnb shows that there appears to be a fair number of well reviewed properties in Ixtapa for around $100 CAD/night. Mar 27, 28, 29, 30 to Apr 19 -- new! Apr 1, 3 to Apr 19 -- new! Apr 5, 6, 8 to Apr 19 -- new! Apr 10, 12, 13, 15 to Apr 19 -- new! Mar 27, 28, 29, 30 to Apr 5 -- new! Apr 5 to Apr 20 -- new! 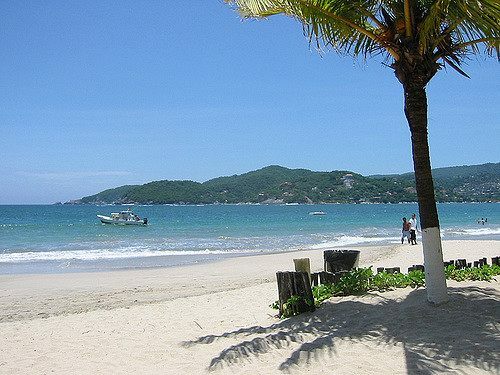 calgary, yyc, flight deals, westjet, mexico, ixtapa, zih, zihuatanejo and north america.